I was excited when Showtime announced plans to bring back Twin Peaks for a nine episode season in 2016. I’m a huge fan of David Lynch and I know the cultural impact that show has had on the television landscape. Yet in all the time since its first run in the 90s, I haven’t taken the time to sit down and watch the show. There’s no excuse for why I haven’t seen Twin Peaks. It’s embarrassing to both consider myself a Lynch fan and admit that I haven’t watch one of his most defining works. I’m also a fan of television as a medium, and the small screen today is heavily indebted to Twin Peaks. It feels like not a day has gone by for the past couple years that I haven’t heard someone mention the show either in reference or in appreciation. 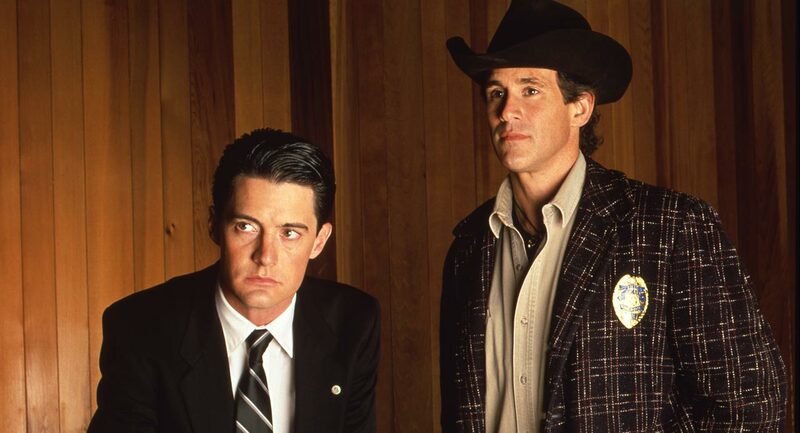 I think the reason I haven’t seen Twin Peaks is that it’s such a relatively small show. For all its cultural importance, it’s hardly a behemoth; it only ran for 30 episodes over two seasons. The shows we tend to think of as “important” (particularly contemporary ones) are often massive undertakings. For me, there’s more incentive to start watching a long-running show – especially a critically lauded one – because there’s an added pressure to get through all of it. Twin Peaks is so comparatively small that it’s easier to put off watching it. That’s what I’ve been doing. 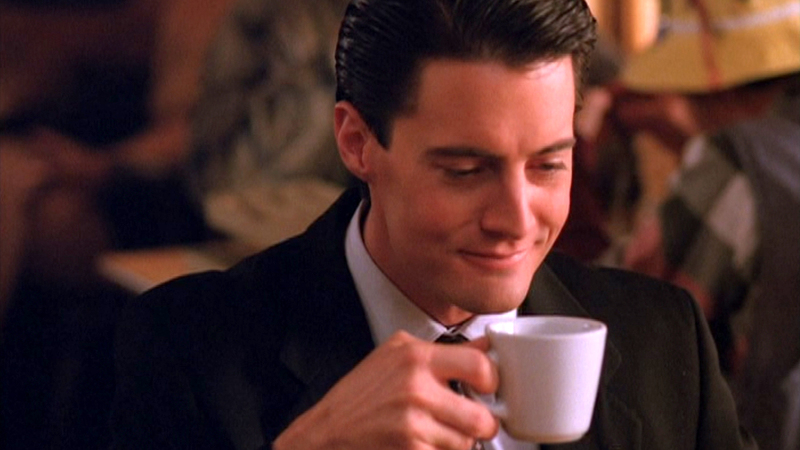 But Twin Peaks is much more important than its size suggests. The first season garnered massive critical acclaim, and was nominated for 13 Primetime Emmys including Outstanding Drama Series, Outstanding Directing of a Drama (for Lynch’s work on the pilot) and Lead Performance nominations for Kyle McLachlan and Piper Laurie. It only won for costume design and editing, but the show’s critical standing was clear. And for that first season, audiences agreed. Ratings were huge for the pilot. Unfortunately, it didn’t last. By the end of the show’s run, it was pulling minuscule numbers compared to where its launch. Heedless, critics didn’t give up on it, and the show has since been named one of the best TV shows of all time by many respected outlets. But what happened to Twin Peaks? Why did its ratings drop so precipitously by its final episodes? When it first aired in 1990, television wasn’t the right place for the show. Medical, legal and cop dramas – all of them about identical to one another – saturated primetime. Almost none of them were markedly unique. Twin Peaks, a decidedly experimental high-concept project, aired its first season opposite the Seinfeld‘s debut, a show that defined itself on the premise that it was “about nothing.” Other contemporaneous comedies like Cheers, Wings, The Golden Girls and The Cosby Show followed the same mantra: here are some funny people, watch them say funny things. TV wasn’t the place for risk-taking. It was the place for comfortable familiarity. In that environment, Twin Peaks probably would’ve failed completely if not for the “Who Killed Laura Palmer?” hook. The show’s revolution starts with that question. 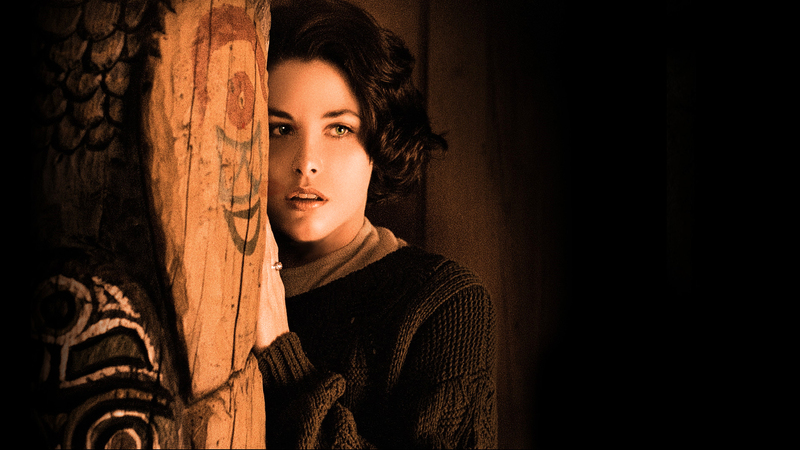 Positioning itself as a whodunit gave Twin Peaks a sense of urgency and immediacy. It hearkened back to a storytelling/marketing device from decades-old crime serials. Old Batman comics, for instance, often ended with cliffhangers that forced you to watch, listen or read the next episode. 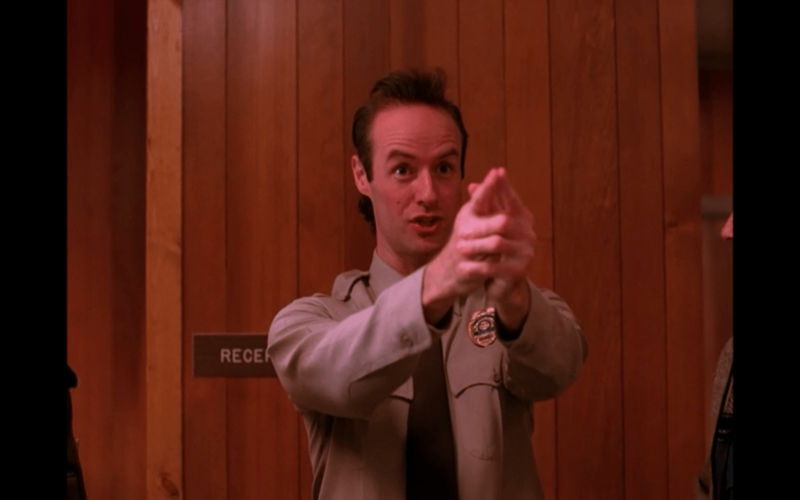 One of Twin Peaks’ most radical elements is Lynch himself. Filmmakers crossing into television was a bizarre notion in the early 90s, mostly because TV budget restrictions made it hard to imagine a big screen vision translating seamlessly to the small screen. The poor quality of CRT television displays alone created a gulf between the two worlds. Lynch proved that television shouldn’t hold itself to such low standards. As a result of his pioneering, we regularly see series with cinema-level visuals like Hannibal and Breaking Bad. In 1990, attempting to replicate the cinema experience on TV would have seemed pointless. Today, it has become the norm. Lynch’s work has always been mysterious and intriguing which only elevated the show’s appeal. Lynch’s touch made what appeared at first a simple mystery show into a social experience. Sadly, that idea was decades ahead of its time. Lost would later take that ball and run with it, throwing out mystery after mystery. This forced viewers to watch every day, lest they miss out on new clues or reveals. Lost also allowed itself to be weird and esoteric, which was more acceptable when it aired in 2004 than it was for Twin Peaks more than a decade earlier. Lynch’s vision for Twin Peaks was so singular and unique that it shattered that entire concept. There simply wasn’t anything like the show anywhere else: not at the movie theater and certainly not elsewhere on television. The idea of “auteur TV series” has only re-emerged in the past few years, with Steven Soderbergh directing all of The Knick and David Fincher directing every episode of the upcoming HBO show, Utopia. Although Lynch only directed 6 of the original 30 episode run of Twin Peaks, he will be taking on all nine of the new episodes, returning to a concept he more or less invented. Even having done my research, it’s hard to know what to expect from the return of Twin Peaks. Will a world post-Oz, The Sopranos and Breaking Bad give Lynch’s brainchild the room it needs to grow? It’s too early to tell. For my part, the recent announcement of its 2016 return has given me the motivation I need to dive in to the original series. I’ll be covering its entire run for Movie Fail, reviewing every episode along with the prequel film, Twin Peaks: Fire Walk With Me. Look for new reviews of the show in the coming weeks. I’m excited to finally take this journey. I hope you’ll read along as I first set foot in the quiet town of Twin Peaks, Washington.